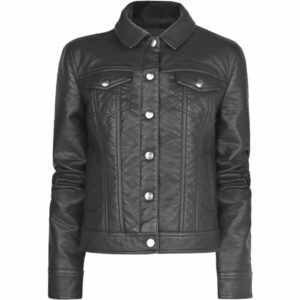 A stylish leather jacket is no doubt is a key hit in the wardrobe of every stylish lady, as it gives versatility to our looks both day and night. Every year our designers take a walk on their catwalks of this autumn-winter outfit in leather of the latest style and trendy colors to beat the cold season of winter. Anyways this article will be the great help that how to chose the style of your customized leather jacket which suits over your body. If you are not clear about your body shape Please read on this article. I assure you once you will able to analyze your body type then you will be in the best position to invest over your appropriate leather jacket with proper accessories and tacks. First of all for a triangle type figure of a women, which means very narrow shoulders but heavy hips. Then your ideal jacket will be jacket along with shoulder pads. Because in this way as leather jacket manufacturer we will increase the volume of the top to harmonize with the rest of the body which will be perfect. If our body is shaped like inverted triangle (heavy shoulders and less hips), as is the case you have to order leather jacket with straight cut, soft-fitted without pads to decrease the volume over the top side of this jacket. In this way you would create the same effect of harmony. If you have Diabolo type of body , which means wide hips along with a very strong but thin waist. 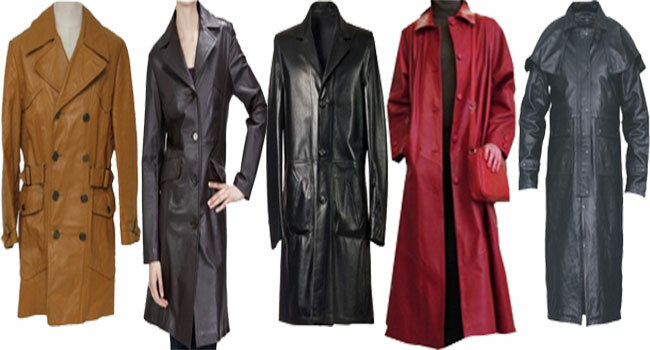 then you must grab an ‘oversize’ leather outfit either in shape of a jacket or leather coat. Because the oversize leather outfit style will suits you and help you to give a cool look on other way you cannot afford tight/ slim fit style leather outfits over this figure. So in short the best choice for girls ‘Diabolo’ are jackets with more cleavage and tight around the waist that enhance but without excess. 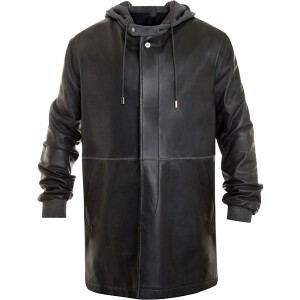 Why We Are Ahead Than Our Competitors For Quality Leather Jackets and Coats? 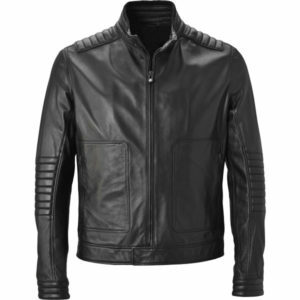 Followings are top reasons that make Leather Jackets USA much better than our top level competitors ” Wilson Leather jackets“. 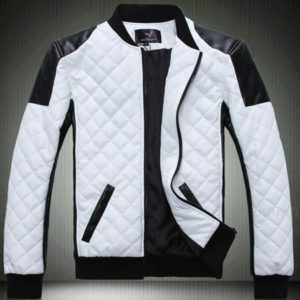 To produce the highest quality genuine leather jackets and coats. We always focused upon the fallowing essentials to craft top level real and custom made leather jackets for our valued customers which our top competitors Wilson leather and Overland are not offering. 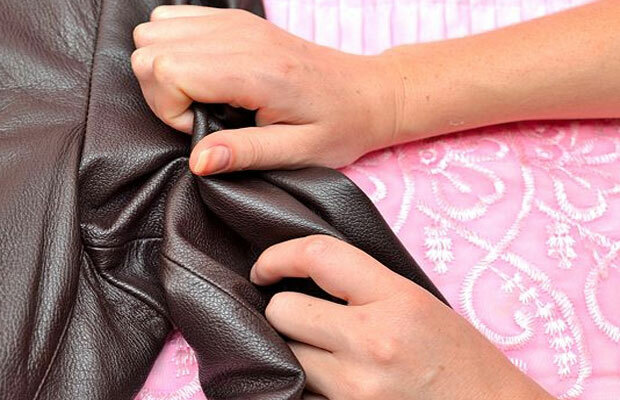 Durability is the core quality for any leather jacket or even in any leather product because of its cost. To assure our own factory’s leather jackets strength and durability we use full grain aniline leather, which is deep dyed for a rich and long lasting colors. As we using full grain leather which means that you does not require any particular process for the protection of your leather garment moreover this leather will also become more soft and strong over the years. 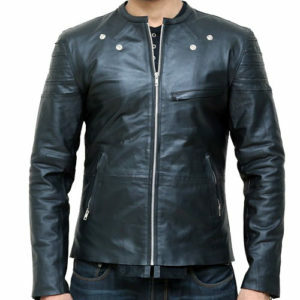 Another indicator of quality in a leather jacket is its quality designing’s and fitting as per your body shape . While designing your leather jacket we assure that does your desired jacket is fit well in the sleeves when you move your arms around? Do the zippers seem sturdy and move smoothly? Are the cutline’s complementary to your shape? USA Leather brand carefully hand-selects the finest-crafted coats or jackets so that you’ll look and feel your best, year after year. Our thickness level for the normal leather jacket or leather Coat is from 0.6 mm to 0.7 mm and for biker leather jackets we use thickness from 1.3 to 1.8 mm. We crafted your finest leather jacket or leather coats over the high end leather machines with quality threads sewing threads which caused the range of special finishes which are designed to deliver excellent seam appearance and performance in your leather garments & quality smooth zippers. Moreover we also use the feature luxurious linings and trims that’s cause for extra warmth and durability as well.